During a major disaster, hospitals are likely to be overcrowded or closed, which means you shouldn’t count on a nurse or doctor to help you if someone get seriously injured. Doctors will either be too busy helping people with more serious injuries, or they’ll be hunkering down with their families. You and your friends and family are going to have to help one another, so if someone gets a deep cut you’ll need to know how to stop the bleeding before it’s too late. Disclaimer: I am not a medical doctor and nothing in this article should be taken as medical advice. Please talk to your doctor before using any of the methods mentioned in this article. And don’t try to plan on not getting hurt. 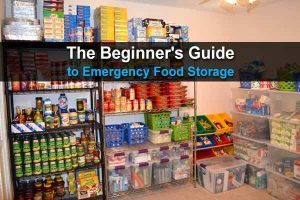 If something terrible happens in your city, you will likely find it necessary to go rummaging for supplies and equipment, and you may have to trudge through fields and climb fences to get where you need to go. You might also find it necessary to reinforce your doors and walls, build temporary shelters, hunt for wild game, and so forth. Not to mention defending yourself from marauders. All of these are activities in which you could get injured, and one of the most common injuries is a bad cut that won’t stop bleeding. Gravity will stop the blood from flowing so quickly and make it easier to stop. This makes a bigger difference than you might think. Blood will not clot until it stops flowing. The best thing to use is gauze as it helps blood stick together. But if no gauze is available, use a thick cloth instead. If the blood soaks through, add another layer. Don’t remove a layer! Doing so will rip away clotting agents and you’ll have to start all over. Keep the pressure on the wound for at least 15 minutes, though sometimes it may take as long as an hour for the wound to clot. These are areas where blood vessels are very close to the surface. If you press here, the blood flow will be slowed. Be certain that the point is somewhere between the wound and the heart, otherwise it will have no effect. Common pressure points include: between the shoulder and elbow, behind the knee, groin area along the bikini line. This should be a last resort as it is somewhat dangerous, but if you must, use a tourniquet to stop the bleeding. If you don’t have one, you can make one with a folded cloth or a wide belt. Never use a thin rope, wire, or string as this could cut off too much blood and the entire limb could be damaged or even lost. Tie the tourniquet between the wound and the heart, several inches above the wound. Use a simple square knot, like tying shoes without a bow. Then push a stick through the knot and twist to tighten it. Loosen the tourniquet every half hour or so to see if it is still needed. When the bleeding has completely stopped, bind the wound with a tight bandage and apply an ice pack for at least 10 minutes. You’ll also need to clean and protect the wound, but I’ll save that information for another post. For now, check out this article. for more information. Just take a First Aid course. Look for a Stop the Bleed class-they are free and teach non-medical people how to identify life threatening bleeding, perform direct pressure, use tourniquets, and pack a wound. This is a legit course co-produced with the American College of Surgeons, National Association of Emergency Medical Technicians, the Tactical Combat Casualty Care. As someone mentioned it is not recommended to loose the tourniquet anymore, nor use pressure points anymore. Prepare the bandages before pulling out twigs, etc., cause once a knife, bullet, stake is pulled there will be bleeding. 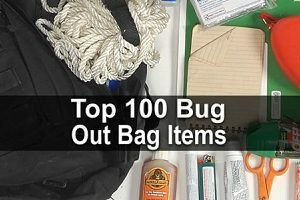 Always carry salt and peroxide (causes screaming) to use after a foreign object is removed. The cigar, cigarette, should be lit as quickly as possible pre attendance. And BURN THE CUT. The blood will be reabsorbed inside. A bullet is usually stopped by the skin and is just butting the surface or inside. If you can’t get it out…then push it inside as keeping it in the skin will cause severe problems, swelling, gangrene, etc. and the cut will NOT close. DON’T try to open the wound to take a bullet out of a major organ IF you don’t know what you are doing. The liver will go into convulsions, the brain will swell and organs like this…must be handled carefully and slowly. Ever see, “Black Pitch” movie. An actor had a stake near his heart…it took several hours to pull out so the heart would not over react to the pressure. Cigars have been used to close heart wounds but one can be sued, right? Have the patient drink as much water as possible like 10 gallons…and pea and pea. Euthermia is a worse enemy then blood loss but it comes with blood loss….keep the patient war..even applying a small heated potato, that doesn’t scald, over the heart including blanket or pillow. If the heart is warm the whole body will be warm. My grandfather taught us to remove bullets and seal cuts. You should practice on an orange….jackknife down the side of the object and flick the knife to lift up the object. Wonder if a good magnet would help? I would seal first before trying to get to a hospital. But, these are just my viewpoints. And, if you use the tube from a pen for a blood transfusion drink as much water as possible pre cutting your own vein as it may be difficult to seal with a cigar due to the wetness but eventually, after many tries, it will seal. But, negatives can not have RH positive as their bodies will turn on them as it turns on the D gene. One can try making a saline solution with salt and water but it is tricky as you can’t let air get into the vein so the vein as to be tied at both sides, precut and again. I’ve seen this done but I believe that a second cut has to be made down stream and the vein held as the empty vein that is tied fills up and then wait for the blood to push the air out. Twisted ankles, broken bone…it is tree hanging time upsidedown to pull the bone back into place and then put branches all around and tie them tightly. I cracked my knee one time and a hospital in the US was going to take my leg off and I waited, used the sheets to name a nun outfit and crawled down the stairs to the outside and a person flagged a bus. The hospital found me by my OHIP card. It is extremely painful but you can do it. I put a religious book in front of my knee and behind the severe crack healed on it’s own but I didn’t stop until I got over the border into Canada. Don’t give up. Cayenne pepper clots and practically heals. Read about it on earthclinic.com. Nearly sliced my finger off, didn’t have the guts to pack the cut with it, but sprinkled it on heavily, then bandaged it keeping above heart. Next morning, could barely see the slice and no scar. Had I not experienced it, I wouldn’t have believed. Carry it in hiking pack and car. Iris, the things you are advising are dangerous and unless you are completely cut off (days-weeks) should NOT be done, chances are high you’ll only make things worse. Peroxide damages healthy tissue and slows healing, impaled objects/bullets should NOT be removed in the field, cigars are not for cauterizing wounds, drinking gallons of water?- you’ll kill them with water intoxication, euthermia- normal body temp, not dangerous, blood transfusions and hanging in a tree for a twisted ankle… just no. Also, don’t loosen the tourniquet after you put it on. Please get first responder training so you don’t cause more damage. Someone bleeding to death is a scary thought and being prepared in such an emergency can mean life or death for an innocent victim. 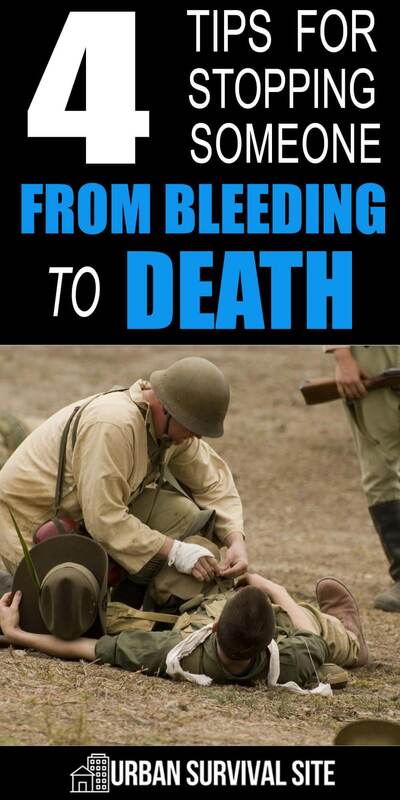 Thank you so much for sharing your tips for how to manage a major bleeding emergency. Things such as elevating the wound, applying pressure, not removing superficial debris, and creating a tourniquet cannot only save a life, but a limb as well. I think in addition to becoming certified in First Aid, people should also consider learning proper CPR techniques. You never know when a major emergency will present itself and your skills may be required. I sliced into left index finger with a very sharp blade and freaked out a buddy because he couldn’t stop the bleed (I’d hit a vein) but while he ran off to call an ambulance i sat down calm and wrapped a rubber band around my finger above the cut to stop the flow then i used a tongue depressor (lolly stick) as a splint and dusted the wound with cayenne, i eased off the rubber bands pressure until a trickle of blood seeped from the wound and the cayenne did its thing. i had glued the wound closed by the time my buddy got back to me and he asked “how come you ain’t passed out yet” its funny how shock affects people. 6 year Army medic. Tourniquets are what we use first when we discover bleeding. Why? Because it works. If you find out that you can control it later with direct pressure then you simply listen the tourniquet. By the way you can have a tourniquet properly applied for I believe 8 hours before you need to worry about issues from the limb being denied circulation. The Army goes to this first because it saves lives. Paramedics use tourniquets first as well. Well I KNOW FOR A FACT,About what I’m going to say is true and also been and tested to stop instantly bleeding.It was use in WW1,I told by a nurse that was there.A NON-SCENTED kerosene.Better known as COAL OIL.I seen my late father accidently stab his own hand with a knife.He tried to stop the bleeding EVERY WHICH way he could.But no stopping the bleeding.Then he was told to use kerosene AND INSTANTLY THE BLEEDING STOPPED WITHOUT ANY PAIN WHATEVER.DOCTORS DON’T TELL YOU THAT,Cause they don’t want to see people help themselves.ALSO MUST SAY DO NOT DRINK KEROSENE. You forget elevating the wound. Elevating the would seriously helps to avoid stopping excessive blog loss. 1. Tourniquets are first line treatment of arterial bleeding in extremities and they go between the knee and groin, or between the elbow and and shoulder. The arteries run between the two bones of the lower leg and lower arm. Tourniquets there only pull the bones together and do not stop arterial bleeding. Upper arm and upper leg. And no do not loosen them every 30 mins. Leave them on until the clot has formed. And do a little research on compartment syndrome. 2. Pressure points are no longer taught in normal first aid and have not been taught for years. I don’t know who wrote this but it is a little inaccurate and they need to update their training. Come see us and we will get you updated. Interesting ! – things Everyone Should know ! I have read recommendations for some of those clotting agents that you pour into bad wounds. After seeing people talk about them often enough, I bought a couple. Since then, I have read some contradictory reviews and taken the excellent Medical Corp class in OH. A couple things to know about them. Some (like QuikClot, I believe) work by a chemical reaction that HEATS UP to work. So, you run the risk of causing additional pain and possibly a burn when direct pressure would likely accomplish the same thing. Secondly, the stuff has to eventually be removed to prevent infection, so you may restart the bleeding by pulling it out. Those products are pretty expensive so I wish I’d found these things out BEFORE I bought them. Where There Is No Doctor is a very good book- not bedtime reading for sure, but full of good info. you are exactly right about hemostatic agents. They are painful. (Experienced that myself first hand). They also take up to 5-10 minutes to work, that is why we do not teach using them in our civilian tactical casualty care course. thanks, very useful info……could use more….